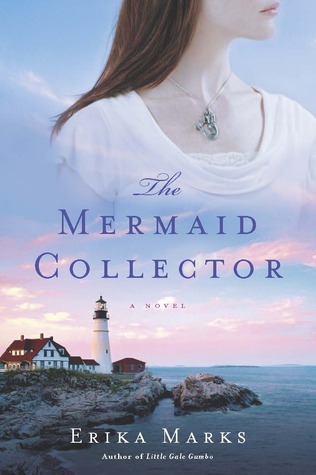 I went to the library this week without anything in particular in mind, and come across “The Mermaid Collector” by Erika Marks. I was drawn in by the premise of the book about the legend of the Mermaid Mutiny in 1888, when a lighthouse keeper left his wife and waded into the ocean with three other men to reunite with their mermaid lovers. I’ve hardly been able to put it down, I’m nearly finished with it! I love that, as writers, our creative minds are always at work, even when we don’t realize it. I don’t need to be at my keyboard with my WIP in front of me to be “working” on it in some way. From the Writer Unboxed blog, Jael McHenry writes about the temptation to chase book trends, and why its important not to simply write something because we think it will sell. I enjoyed this post from Gwen Stephens, the 4a.m. Writer, on remembering why we write. What about you, what are you reading this week? What are you writing? This entry was tagged Quotes on Writing, What I'm Reading, What I'm Writing. Bookmark the permalink. The book sounds fascinating! Mermaids seem to be trending in literature right now, particularly in YA and middle grade. I just finished a great debut novel called Forever Interrupted. I discovered the book through an agent blog I follow. I agree with you that a writer’s mind is always at work. Thank you for the shout out! Enjoy the weekend. I think mermaids are going to be the new vampires – which would be a welcome trend by me! Forever Interrupted sounds great – I’m adding it to my To Read list! Thanks for the recommendation. Awesome! I hope you enjoy reading it as much as I did!